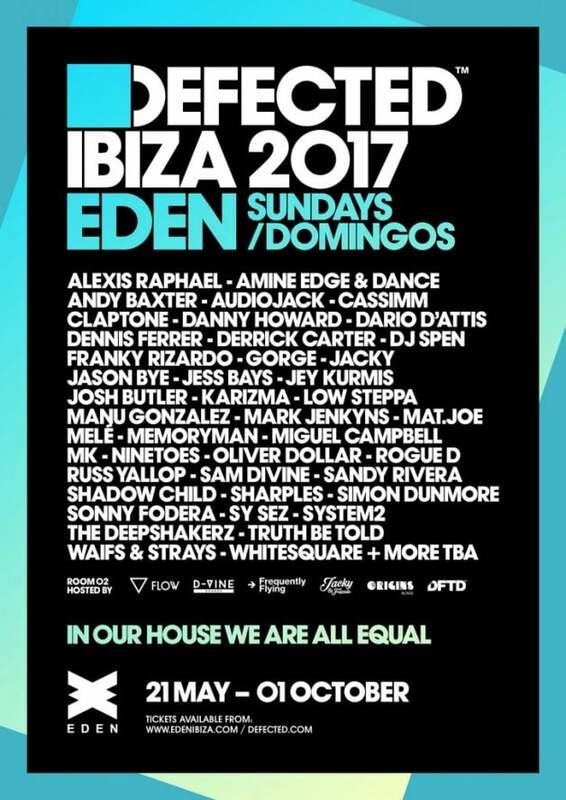 House music giants Defected have announced the full lineups for their 2017 season at Eden Ibiza. 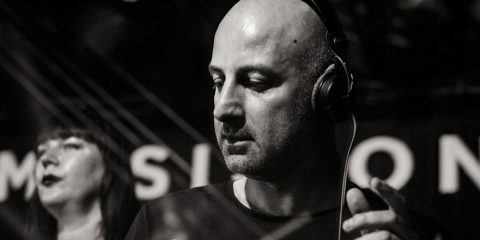 Kicking off on 21 May and going every Sunday until 1 October, Defected will bring the likes of MK, Dennis Ferrer, Derrick Carter and Claptone to headline 20 weeks of parties. Also along for the ride will be the likes of Amine Edge & Dance, Sam Divine, Low Steppa, Miguel Campbell, Josh Butler, Franky Rizardo, Sonny Fodera, Jacky, DJ Spen and Karizma. These selections of artists will join forces with D-Vine Sounds, Flow, Origins, Jacky & Friends and Frequently Flying in Eden’s second room. It all kicks off on 21 May with house heavyweight MK, D-Vine Sounds head Sam Divine, DFTD’s new recruit Jacky and Defected boss Simon Dunmore in Room 01. In Room 02 will be local legends Andy Baxter, Jason Bye and Manu Gonzalez, making two rooms and an all night affair of clubbing inclusivity. 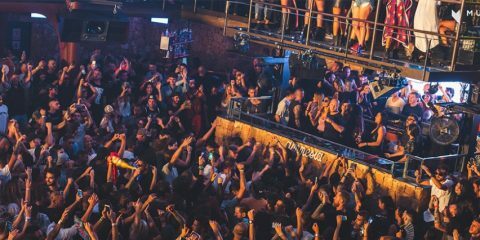 Tickets are on sale now so make sure you grab them, and be on the lookout for each week’s official pre party at Cafe Mambo, making San Antonio reign supreme for the weekend’s end.